People often ask, how has or how does Questar III adapt and evolve in our changing world? We are constantly listening, learning, reflecting and evolving to support our school districts and students. It is the nature of the cooperative model and what drives our work on behalf of students and school districts. With roots dating back to the late 1950s, the BOCES began as an organization whose goal was to build capacity for our districts, allowing them to do more together than they could individually. It was also created to provide equity in education – where students could have access to the same high-quality programs regardless of their zip code. Prior to the 1970s, there were actually three separate county BOCES. The reorganization of the BOCES shows one way we have evolved as a region – merging when smaller districts formed larger, centralized districts. Our first career and technical education (CTE) programs – agriculture and automotive – reflected the realities of the time. The agriculture program, which started at Chatham High School in 1959, sought to train future farmers in Columbia County. As demands and needs changed, so too did our CTE programs. Today, we continue to provide automotive training. However, the technology has advanced, with students learning on regular and hybrid vehicles featuring more technology than NASA had to land on the moon. We have also expanded into high-tech, hands-on programs such as aviation, information technology and HVAC. This fall, we will launch new programs in Emergency Medical Technician & Health Careers, and Heavy Equipment Operation & Maintenance, based on feedback from school districts and businesses. Likewise, our Special Education programs – which were the impetus for the formation of BOCES across the state – have evolved. In 1972, we served 451 students in 57 classes based in local districts, church basements and an American Legion Hall. Today, our population remains steady at 300 students as many districts now have the capacity to provide services to many students onsite depending on the students’ needs. The students’ needs have also changed over time. Today, we serve students with more severe developmental, emotional, and mental health needs. Over the past decade, we implemented several improvements in our Special Education Programs. Questar III worked with school leaders to better cluster our programs in districts across our three counties. This was designed to not only better serve students and staff, but also to assist districts and reduce transportation costs. The expectations of Special Education students has also changed over time with the expectation today that many will go off to college or the world of work and eventually become independent and engaged citizens in their communities. Given that expectations have changed we have created new opportunities for students. We offer students hands-on experiences through projects, work-based learning experiences, internships, adaptive technology and community activities that expand their horizon. Itinerant teachers and service providers are still available, as they were from the first day of the BOCES. However, these services have evolved as well. No longer do districts have a need for shared music or art teachers, or school nurses. We have expanded into other itinerant services such as claims auditing, communications, English as a Second Language and shared facilities director. Services and staffing at our BOCES often runs counter-cyclical to what may be happening locally, statewide or nationally. As finances and enrollments shrink, we may be asked to do together what may be difficult, or impossible, to do alone. Services have been created or expanded to keep up with new demands on districts, including mandates for financial reporting, health and safety, or curriculum development. We often scan the regulatory environment to see what changes may impact our districts. Looking back, in the 1980s, we adapted to focus on the growth of computer technology and the increased social-emotional needs of students. During this period, the BOCES developed a microwave system connecting our counties and supported classroom instruction through a film library service. Today, we offer online and distance learning and lease agreements for computers and tablets. Likewise, our IT department now provides a wide variety of services to support cost-effective, efficient and secured operations. Technology now drives our work, from the classroom to the office. Similarly, the BOCES helped districts respond to new safety demands in the 1990s by forming a Health & Safety Service. Today, this service supports compliance with state and federal mandates along with emergency planning, inspections and other features supporting a safe learning environment. In 2007, we formed an Office of School Improvement to help districts and teachers improve instructional practices. Today, this service is one of the most vital resources in the BOCES, supporting districts with changes to standards in ELA, math, art, science and social studies. We offer training and support to all levels. In response to district needs, we added a Leadership Coaching Program (in partnership with the University of Rochester), Saturday Morning Board Workshops for board members, an online board training series, Dimensions of the Superintendency program for new and aspiring superintendents, Superintendent Success Network, Annual Institute for Superintendents and Summer STEM Research Program. Our State Aid & Financial Planning service, which started in 1972, was the first statewide BOCES service. Today, it remains an invaluable service to more than 650 districts. In fact, the success of this service led to the creation of other services that help districts maximize aid and efficiencies or save time and money. This includes the Central Business Office (CBO), GASB 75, Internal Audit, Fixed Assets Inventory & Appraisal Service, and Special Education Aid Services (STAC). Saving money through cooperation and collaboration allows districts to redirect resources back to the classroom. 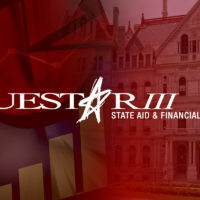 In response to rising benefit costs, Questar III organized the Rensselaer-Columbia-Greene Health Insurance Trust and Workers Compensation Consortium decades ago. Today, these groups, which are led by district leaders, continue to support participating districts. Together, we can obtain better rates and service for our staff and their dependents. While we have added services based on need and demand, we have also looked for programs and services that no longer serve the region’s needs. Over the past decade, we have closed several locations and discontinued some grant and state contract work. Based on need and demand, we eliminated Aviation Maintenance Technology, Business Information Systems, Child Care Studies/Career Studies, Early Childhood Education, Green Technologies & Renewable Energy, adult and high school Licensed Practical Nursing (LPN), Mechanical Technology, Media Communications, Teen Pregnancy Program and Regional Summer School. Likewise, we discontinued the Shared Business Manager, Teacher for the Gifted & Talented, Transition Coordinator and Computer Shop Repair services. We also stopped doing fingerprinting through our Health & Safety service. In 2005, we discontinued our transportation service for special education based on diminishing district participation. These program and services changes – additions, subtractions or revisions – were all done in cooperation with our superintendent subcommittees. Involving superintendents and others in our decision-making process is where we focus on our core mission. 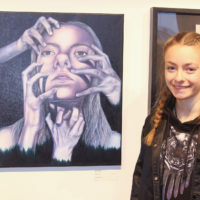 Author Jessamyn West once said, “the past is really almost as much a work of the imagination as the future.” For many of us, it is hard to imagine the BOCES of the past and how it responded to the conditions of that time. Likewise, it may be difficult to look ahead and imagine where the BOCES will be in another 40 years. For me, I appreciate the work of those who came before – those individuals who worked together to shape this BOCES and its spirit of cooperation. We continue this important work. Looking ahead, we will continue to evolve and respond to student and district needs – changing lives, realizing dreams and doing together what can’t be done alone.